With the 2008 economic recession, the banking bailout, and the protests against the 1%, Oliver Stone’s Wall Street hasn’t been a more apt parable to American capitalist culture since it was released in 1987. So apt, in fact, that Stone quickly went into production on a sequel that would be even more critical of the ongoing economic themes that the original movie explored. But nothing beats the original’s archetypal portrayal of 80s excess. The original icons of American capitalism. The character of Gordon Gecko, portrayed by Michael Douglas (for which he won the Academy Award for Best Actor), is cold, ruthless, and slick, like the lizard he’s so appropriately named after. Contrast that with Charlie Sheen’s Bud Fox, the son of a working-class family, whose father (played by Martin Sheen) is an airplane mechanic and union leader. 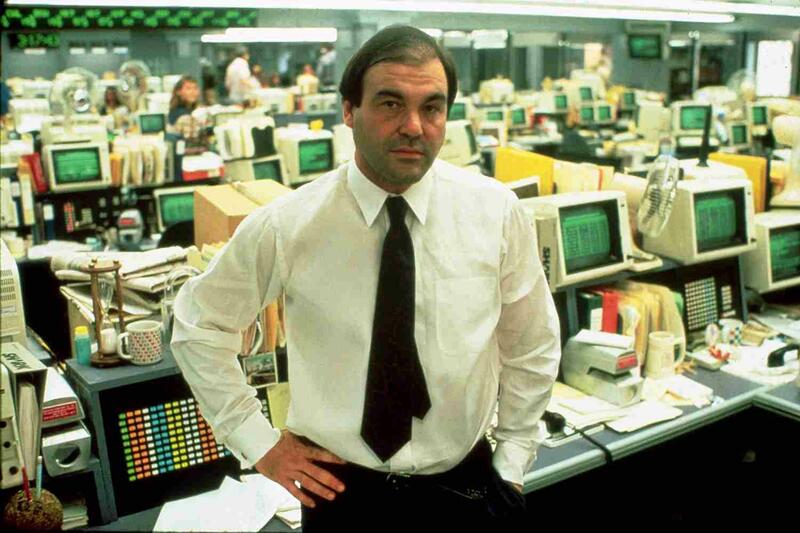 The film paints its social and class dynamics in the broadest strokes possible, as Oliver Stone’s critique of the excesses of capitalist industry pits the heritage of Bud’s family, a father whose job entails actually producing and manufacturing things, against the misbegotten wealth, created by making money out of money, often through illicit and illegal means of Gecko’s brokerage empire. 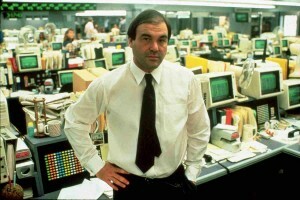 Director Oliver Stone on the set of Wall Street. For Stone, Wall Street came early in his career, right after Platoon; it was his second big feature and had a lot riding on it. Because Stone insisted on shooting in New York City, the budget for the film would be at least $15 million, higher than the studio behind Platoon was willing to spend. And so Stone took the film to 20th Century Fox; the film went on to gross $43.8 million in its domestic run. However, on home video the film has taken on another life, similar to the way it was featured in Boiler Room, where a bunch of modern day Wall Street mavens and mongers watch the movie for sport and a weird romantic indulgence. It’s become a piece of cult entertainment for those who worship at the altar of greed and finance, in a way, the film became a product of the culture it seemingly denounced when it was first released. Perhaps that’s why Stone felt the need to paint a clearer picture with a sequel, because Wall Street, like many of Stone’s films, teeters close to the edge of righteous indignation and proselytizing but, luckily, it avoids falling too far into caricature and melodrama. Ultimately, it’s a simple story, with clear cut characters, a dizzying yet restrained style, and a rather clear cut moral position; it’s just enough style and sass to be one of Stone’s most fun films. While Wall Street is not an out and out criticism of the American capitalist system, it is critical of the cynical, easy money culture of the 1980s. 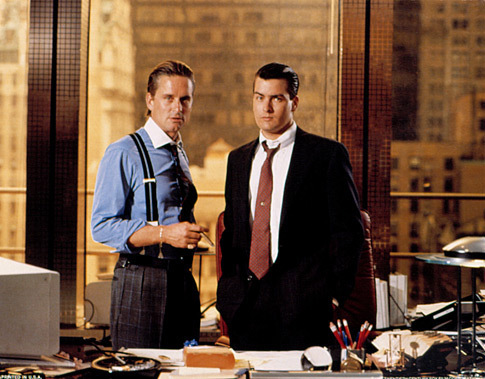 The film set the standard and laid the groundwork for future films like Boiler Room, Margin Call, and The Wolf of Wall Street. But all of those films are a dollar short of what Oliver Stone’s Wall Street accomplished, many years before American culture caught up with his portrayal of a value system of profits, wealth, and a quick buck.